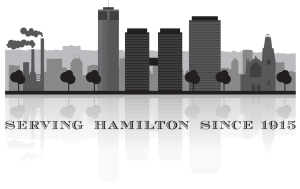 We’ve been taking care of business for our clients in Hamilton for over 100 years. We understand the Hamilton business community and are proud of the contributions of our lawyers in building our city and its bright future. Our clients are the risk-takers, artists, visionaries, entrepreneurs and small businesses that are Hamilton’s economic and cultural engines. They know that, in business, there is no substitute for experience and community connections; our lawyers have plenty of both. Whether they need help with a corporation, partnership, or family business; a commercial property; the purchase or sale of a business; a construction, workplace or environmental issue - or simply negotiating a contract, they know that we can navigate the terrain for them. And when the going gets tough, they also know that our expertise in both business law and civil litigation powerfully equips us to help them avoid the perils that can lead to litigation but, if necessary, fight to protect and enforce their interests. Heather McKinnon’s 15 years of practical experience in the business world before she became a lawyer and Ned Nolan's expertise in labour and employment law are valuable resources for our business clients and their employees. Our associates, John Dean and Murray Mazza (who is also a chartered accountant) are among Hamilton’s leaders in commercial law and we continue to have the insight and good counsel of our partner emeritus, John Hunt Nolan, who was the trusted advisor to our real estate, corporate and commercial clients for decades prior to his retirement.